The Opisthocomiformes include a single extant species, the Hoatzin, Opisthocomus hoazin, of northern South America, and have no Palaeogene fossil record. Onychopteryx simpsoni from the Eocene (Casamayoran) of Argentina was described by Cracraft (1971a) within the monotypic taxon Onychopterygidae, and was considered to be most closely related to extant Opisthocomiformes. 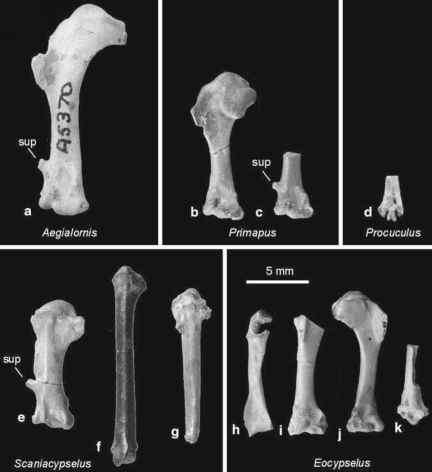 However, the holotype specimen, a small tarsometatarsus fragment, was already rightly considered to be of indeterminate affinities by Brodkorb (1978).